“Our lives begin to end the day we become silent about things that matter." - Martin Luther King, Jr. According to reports, Mel Gibson has a tendency to say racist things. First, there was the “Jews are responsible for all wars” incident and most recently he told his ex-beau Oksana Grigorieva that if she went outside in a particular outfit he disapproved of she would be “raped by a pack of ni**ers.” What has been overlooked in almost every single report of that incident is why Grigorieva was tape recording Gibson in the first place. She needed proof. Proof that Mel Gibson was abusive to her not only emotionally, but physically. She had already provided dental records in their custody fight to prove that he knocked her teeth out previously but Grigorieva still felt she needed more evidence to show the court that Gibson is much more than just politically incorrect, he’s a monster dangerous. Why is it that the detail about Gibson knocking Grigorieva’s teeth out was literally a throwaway line at the very end of an article with a splashy headline detailing his latest racist diatribe? Why did it take so long for them to launch a formal investigation into his abuse? It is clear that the media and the public at large avoid talking about domestic violence. It’s seen as a private matter and is not to be spoken about openly. The problem with that is that this tendency to push it aside and out of our minds is teaching our young people exactly the wrong lesson. Another domestic violence incident that was in the news recently was Chris Brown and Rihanna after their now infamous drive in a Los Angeles suburb the night before the 2009 Grammy Awards. After his emotional performance at the BET Awards, many people declared Chris Brown forgiven. Bygones. He cried and apologized so we must all take it easy on him and just get past the "situation with Rihanna." Let me be clear: Domestic violence is not a "situation." We need to call it what it is. 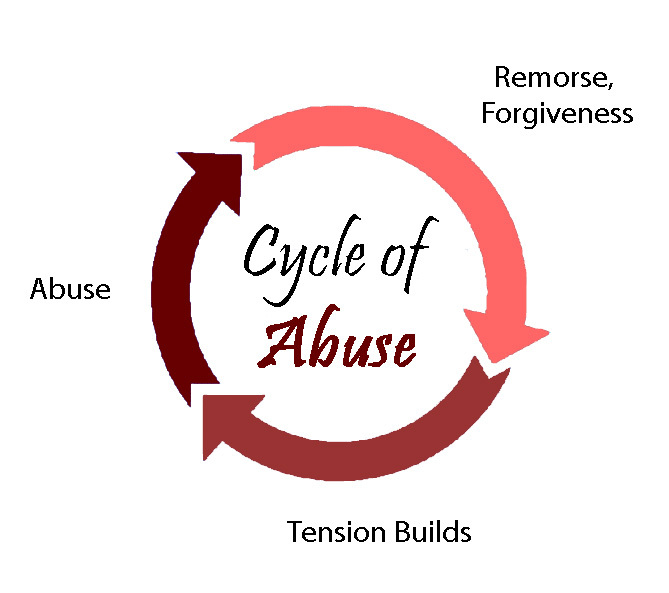 We need to point out that the repeating cycle of domestic abuse includes remorse and we should not allow Chris Brown or Mel Gibson or anyone else to simply come back and make a tear filled apology. We must not be enablers. Domestic violence is the systematic destruction of another person emotionally, mentally, verbally, financially, socially, physically, and sexually. Domestic violence is the de-humanization of another person that can leave scars lasting a lifetime. This year in the United States, 3 million women will be abused. This statistic is staggering and proves that we need to teach our young people how to properly handle conflict in their romantic relationships and that starts with how it is discussed. We must teach them that a women or man who yells or curses out their partner does not ever deserve to be hit. Ever. No, not even if they are hit first. No, not even if they cheat on them. Everyone should be responsible for their own actions and reactions. That is the lesson we should begin to teach our young people and stop trying to justify the actions of the abusive by blaming the abused. Victim blaming, while commonplace in our society, should no longer be acceptable. It sends the wrong message. It is dangerous to young people because it takes the heat off of the person who is actually committing the violence. Simply put, the blame for abuse should be placed squarely at the feet of the person choosing to be abusive. We should no longer allow people to imply that it is acceptable to abuse someone if they “deserve” it. No one deserves it. Period. Domestic violence is a cycle of abuse that is primarily about power and control and whether it is done by men or women in a relationship it is our responsibility to call it what it is. The lives of our young people depend on it. And by the way, those folks out there that even questioning whether it's okay for Oksana Grigorieva to tape record Mel Gibson in this manner, STOP. She was trying to get proof of his abuse and should not be questioned for that decision. If you were her what would you do to make sure the monster in the tape recordings below was never allowed to be around your child? My guess is if you are sane person whatever it takes.